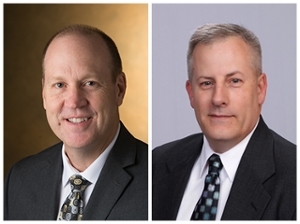 Southern Illinois University Edwardsville has named Rich Hampton as director of financial affairs and Craig Holan as director of facilities management. 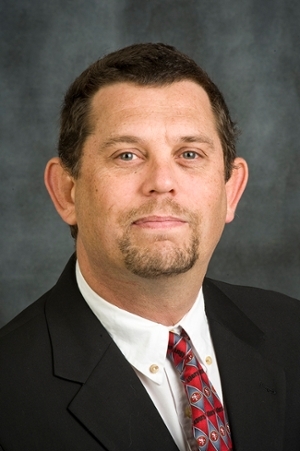 Hampton assumes the duties of Dave Heth, who is retiring from SIUE after 24 years of service. Holan takes over the responsibilities of Paul Fuligni, who left the University in June. 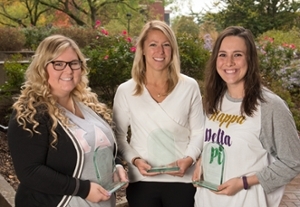 Southern Illinois University Edwardsville School of Pharmacy student Rachel Young has been named as an Outstanding Student Chapter Member of the Year by the National Community Pharmacists Association (NCPA). She received the honor at the NPCA 2017 Annual Convention in Orlando. 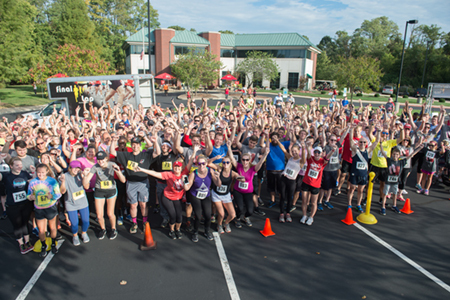 The Southern Illinois University Edwardsville Police Department and School of Pharmacy (SOP) collected 39.4 lbs. 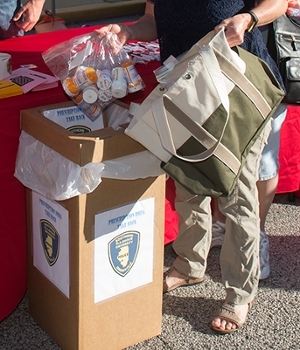 of prescription drugs in a drug takeback program Thursday, Oct. 26 on the Alton, Edwardsville and East St. Louis Center campuses. It was the largest amount collected this year in the program. 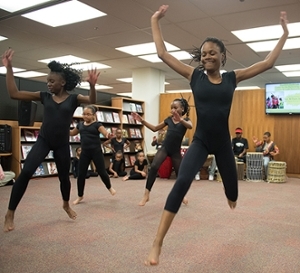 In a rhythmical collision of drumming, dancing and music, Southern Illinois University Edwardsville closed out its exhibit of the legendary Katherine Dunham at Lovejoy Library, with a demonstration by members of the company she founded 50 years ago. 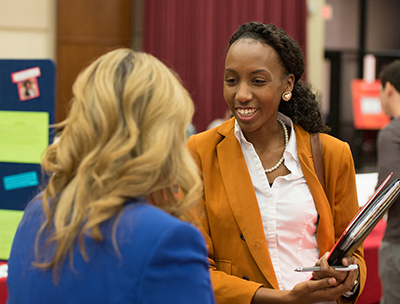 A competitive card game and a mobile app for college students are the entrepreneurial creations of two groups of SIUE students studying organizational communication. 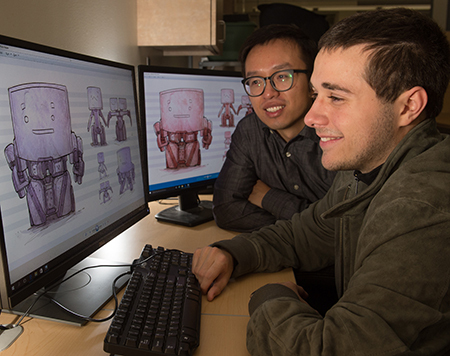 The students are gaining real-world experience through a class project by using crowdfunding to support the marketing and development of their products. 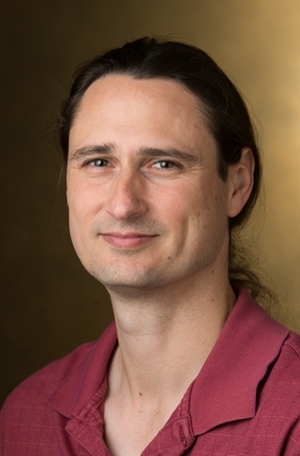 Telepresence is nothing new in today’s advanced technological environment, but there’s room for scholarly exploration and development when it comes to the effective use of telepresence robots in classrooms. 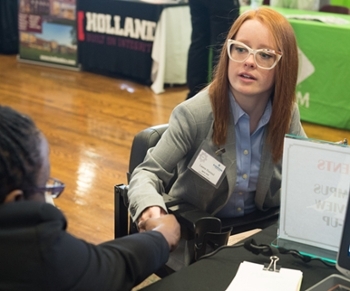 The Illinois Metro East Small Business Development Center (SBDC) at Southern Illinois University Edwardsville will collaborate with the Veterans Business Outreach Center (VBOC) at the Women’s Business Development Center in Chicago and the Small Business Administration (SBA) to support veterans at a local event during National Veterans Small Business Week. 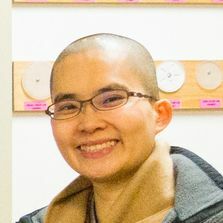 Venerable Jue Huang will present Southern Illinois University Edwardsville’s Lovejoy Library with a 20-volume set of The Encyclopedia of Buddhist Arts donated by the Fo Guang Shan St. Louis Buddhist Center in Bridgeton, Mo. The fictitious college of Aurum University is not just a place where education happens, but where secrets are uncovered, where drama unfolds and the lives of some become unhinged. 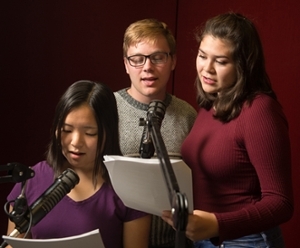 Southern Illinois University Edwardsville will soon broadcast its first radio soap opera drama on WSIE 88.7 FM, The Sound. 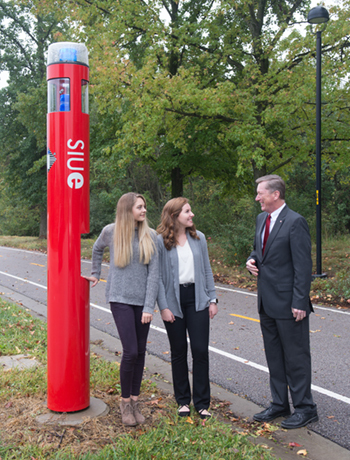 Southern Illinois University Edwardsville was awarded a bronze seal Thursday, Oct. 19, by the All In Campus Democracy challenge for its efforts to increase student voter turnout during the 2016 election. 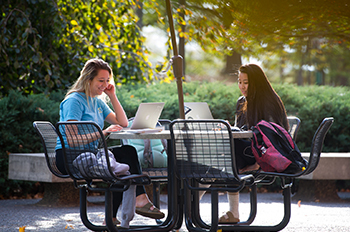 SIUE was among 79 institutions nationally to achieve the distinction of 50-59 percent student voter participation on campus. The Snyders sisters from Jerseyville have always been motivated to advance through higher education and achieve their career aspirations. 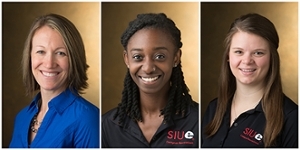 Together, they are attending Southern Illinois University Edwardsville, and though one is an undergraduate and one a graduate student, their accelerated academic paths have them slated to graduate together in May 2019. 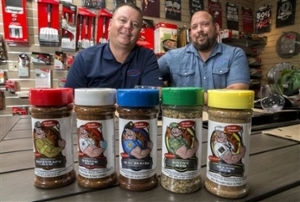 Code 3 Spices owners Mike Radosevich and Chris Bohnemeier accepted the Collinsville Chamber of Commerce's Small Business of the Year Award on Wednesday, Oct. 18 for the second straight year. 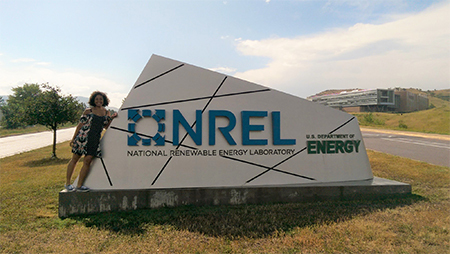 SIUE School of Engineering alumna Alicia (DeShasier) McConnell (’07) was featured in the October 2017 issue of Road & Bridges magazine. 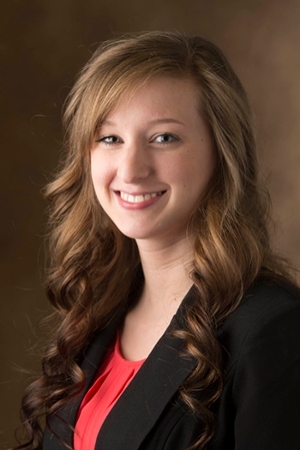 She authored an article on the use of drone technology as an emerging tool in the industry. Read the article: Wheels up, wheels spinning. 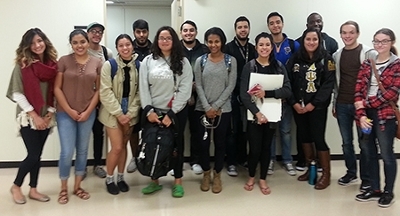 Sixteen Southern Illinois University Edwardsville undergraduates studying Spanish for Heritage Speakers expanded their knowledge and integrated it at the local level when they engaged in service learning throughout Hispanic Heritage Month at Fairmont City Public Library. 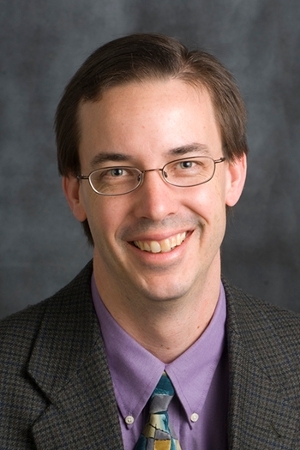 SIUE has named Mike Reed as assistant director of financial analysis in the Office of Financial Affairs. 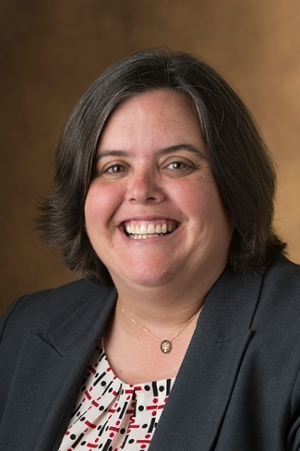 Reed is assuming the duties of Paula Birke, who has moved into the Vice Chancellor for Student Affairs Office as the director of business operations. 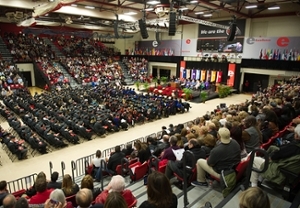 Southern Illinois University Edwardsville is adjusting its Spring 2018 Commencement schedule to accommodate growth at the event and create an even better experience for the graduates and their guests. 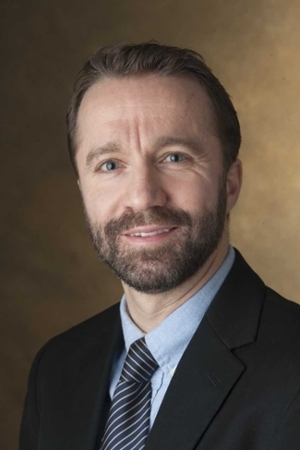 While spending time with his ailing mother at nursing facilities, hospitals, and ultimately hospice, Mike Stith searched for a way to lift her spirits during her struggle with cancer. 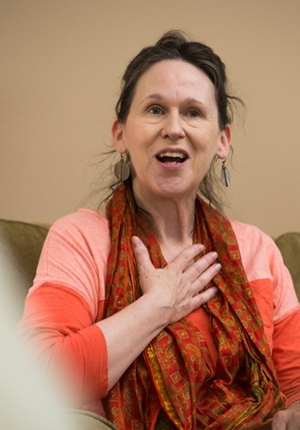 By asking targeted questions about people and events in her life, the conversations they had lifted her emotions and provided meaningful activity. 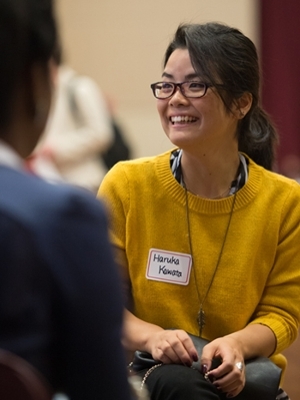 High school students have identified mental health as an important issue in their daily lives. Rare slides and video footage following the assassination of President John F. Kennedy will be presented and discussed at 7:30 p.m. Tuesday, Nov. 7 during the next Southern Illinois University Edwardsville Arts & Issues production, featuring former Secret Service Agent Clint Hill and Lisa McCubbin. 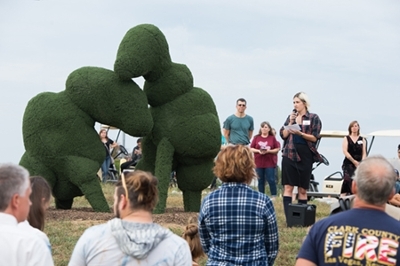 The Southern Illinois University Edwardsville community is mourning the loss of junior College of Arts and Sciences student Heavenleigh Stonewall, who passed away after a prolonged illness on Tuesday, Oct. 17. 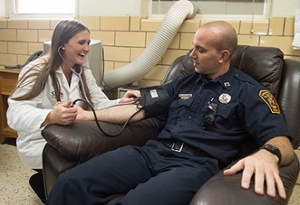 Hands-on research opportunities and real-world experiences are among the driving forces behind Southern Illinois University Edwardsville students’ motivation to achieve their career aspirations. 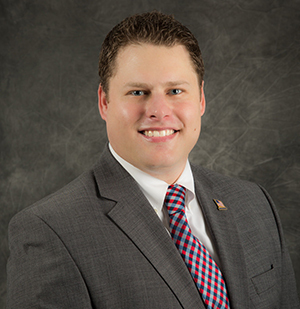 Southern Illinois University Edwardsville alumnus Shawn Bell has combined educational ambition and applied learning since high school, and is now achieving success as a city administrator, thanks in part to a resume filled with real-world experience. 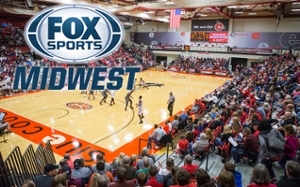 SIUE’s Brady Dixon, a senior on the Cougars’ golf team, and his roommates did a trick shot video from their residence and watched it make ESPN’s Top 10 plays Sunday night and be seen on NBC’s Today Show Monday. You can watch the Today Show segment here. Belleville News-Democrat writer Todd Eschman posted a story yesterday. 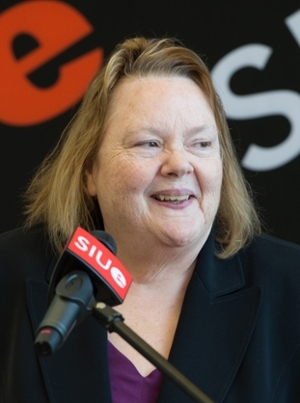 Southern Illinois University Edwardsville Dean of Library Information Services Regina McBride, PhD, recently retired after serving the University and SIUE’s Lovejoy Library for the past 20 years. 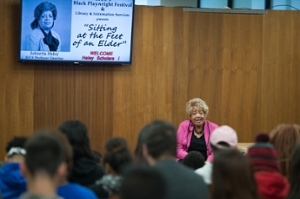 It is a proud, hard-working and educated pedigree that Southern Illinois University Edwardsville Professor Emeritus Johnetta Haley shared on Wednesday, Oct. 11 at the University’s Elijah P. Lovejoy Library. 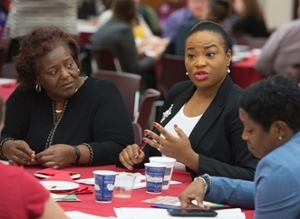 The 94-year-old gave highlights of her life story to a roomful of more than 150 college students, included approximately 60 SIUE Johnetta Haley Scholars. Reading and hearing about a concept offers a strong foundation, but applying a concept through action offers powerful learning experiences that solidify student understanding and retention. 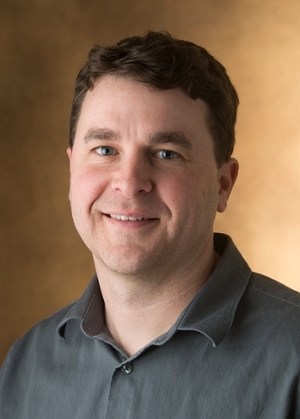 Rick Lallish, program director of Water Pollution Control at the Environmental Resources Training Center (ERTC) at Southern Illinois University Edwardsville, has been nominated by the Illinois Association of Water Pollution Control Operators (IAWPCO) for its Outstanding Operator of the Year award. 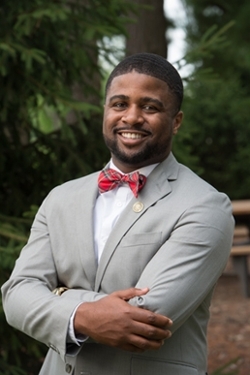 Southern Illinois University Edwardsville students in the College Student Personnel Administration (CSPA) are fulfilling the University’s mission of shaping a changing world through their hands-on learning experiences. 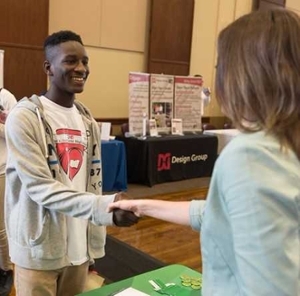 Prospective college students can learn about available higher education opportunities when Southern Illinois University Edwardsville hosts the Illinois Regional College Fair (IRCF) Fair from 6-7:30 p.m. Tuesday, Oct. 24 in the Morris University Center. 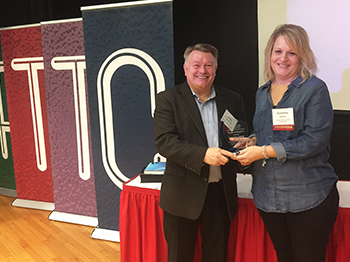 Southern Illinois University Edwardsville’s Susanne James, PhD, associate professor and graduate program director in the School of Education, Health and Human Behavior’s Department of Teaching and Learning, was presented the national Teaching with Technology Award on Friday, Sept. 29 at the Focus on Teaching and Technology Conference (FTTC) in St. Louis. 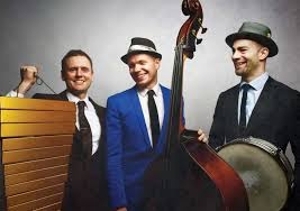 Southern Illinois University Edwardsville Arts & Issues will present The Wee Trio, an internationally known jazz band that includes SIUE alumnus Dan Loomis, at 7:30 p.m. Tuesday, Oct. 17 in the Dunham Hall Theater. 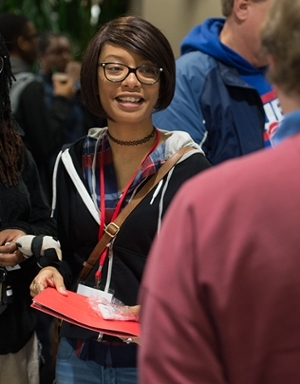 More than 100 Southern Illinois University Edwardsville East St. Louis Charter High School (CHS) students filed off buses on Wednesday, Oct. 4 and onto the SIUE campus for a day of gathering valuable information about college and their futures. 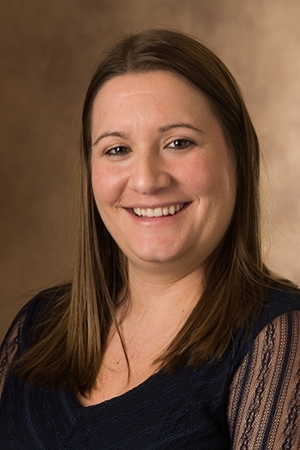 SIUE alumna Breanna Hetland, PhD, RN, CCRN-K, has earned an up to $50,000 Impact Research Grant from the American Association of Critical-Care Nurses (AACN). 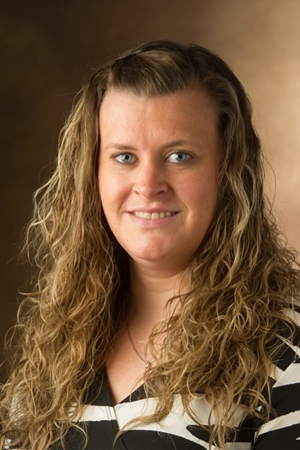 Hetland achieved her bachelor’s in nursing from SIUE in 2010. 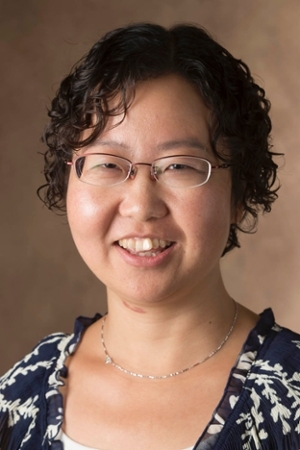 Her funded research project focuses on engaging family caregivers in the intensive care unit. Details on her research are posted AACN.org. 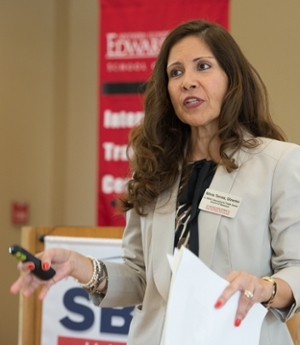 SIUE alumna Linda Neuman, MD, has been named vice president, clinical development for Adverum Biotechnologies, Inc., a leading gene therapy company. 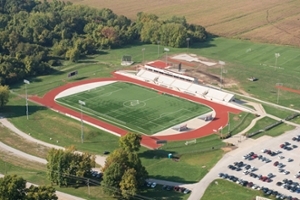 Neuman earned a bachelor’s in biological sciences/medical science from the SIUE College of Arts and Sciences in 1986. Details on her new appointment are posted on MarketWatch.com.